Stone Age: The Board Game is a digital conversion of a board game for Apple iOS devices (universal) made by Campfire Creations. The game has been nominated for and received numerous awards from boardgamegeek.com as well as several other authorities within hobbyist board gaming community. 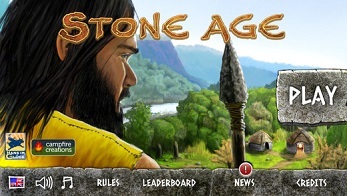 Stone Age: The Board Game is a basic "Euro style worker placement game". It is a lighter entry into this sub-genre of hobbyist board gaming and as such is seen as a good gateway game to be played with newer gamers or even family. The game can be played solo against up to three ai players, local pass and play, or online asynchronous multiplayer through Game Center with any combination of human and ai players. Additionally the game features online competitive league play with elo rankings. 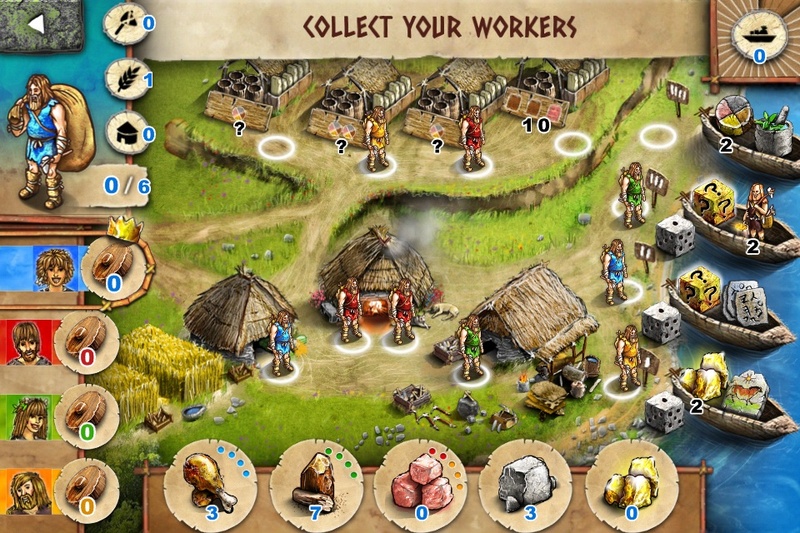 Each player is in charge of a tribe of cavemen and on each turn is presented with options to gather specific resources based on where they place one of their available workers. Some spaces on the board provide building materials, some provide food, and some provide more workers to be used in later turns. Once a player has placed a worker on a space, that space (and connected resource) is not available to the other players for that turn. 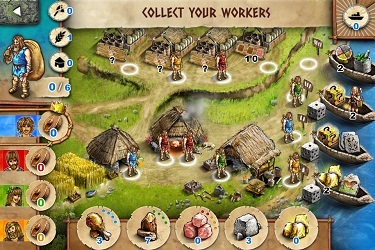 Players compete to grow their tribes, gather resources, and then sell excess resources for victory points to win the game. The iOS implementation of the game features beautiful vibrant graphics and a clever implementation of the original game board and its side boards. The user interface is intuitive, and the included tutorial make it easy to learn the game in under ten minutes. The game also features and original soundtrack and both English and German languages are available.